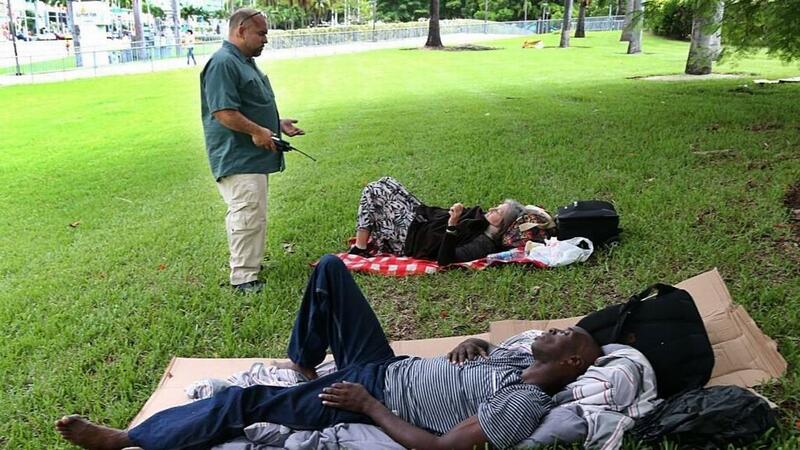 Ivan Romero, a City of Miami outreach program staff member, talks to homeless people at Bayside. In 1998, a federal court sided with the ACLU on behalf of 6,000 homeless people living in the city of Miami. The landmark Pottinger v. Miami case determined that the city's policing of homeless individuals violated the fourth and eighth amendments. 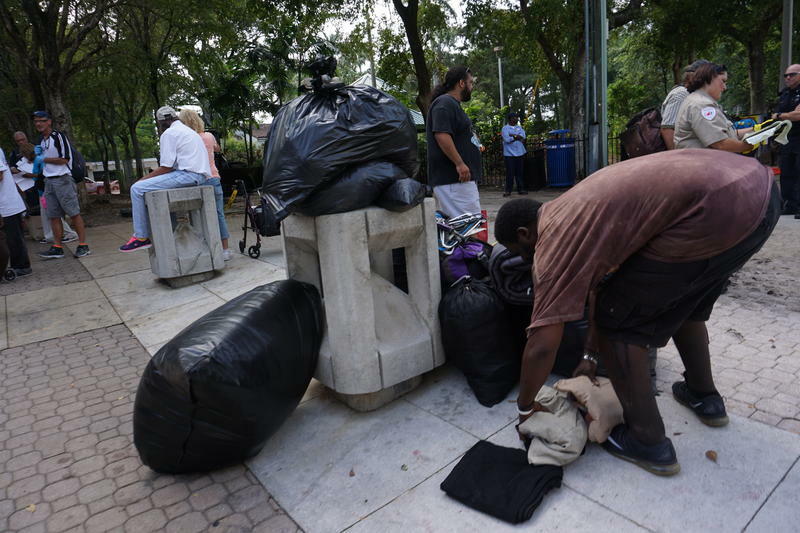 A resulting agreement between Miami and the federal court introduced the so-called "Pottinger rules," which gave police guidelines on how to approach homeless people without violating their civil rights. The agreement protected the "life sustaining activities" of the homeless, such as sleeping on streets and urinating in public, and ensured they would not be arrested for doing so. But City of Miami attorneys say law enforcement has since introduced programs and procedures that prevent the criminalization of the homeless, rendering the agreement unnecessary. They say the agreement just adds to negative perceptions of the police. An attorney for the ACLU said the agreement assured homeless individuals' civil rights would not be violated and that it should remain in effect. 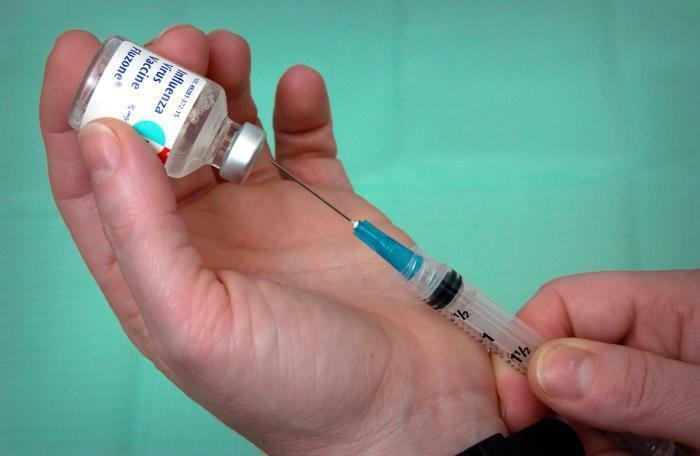 The new lawsuit claims that police and city workers are breaking the Pottinger rules. 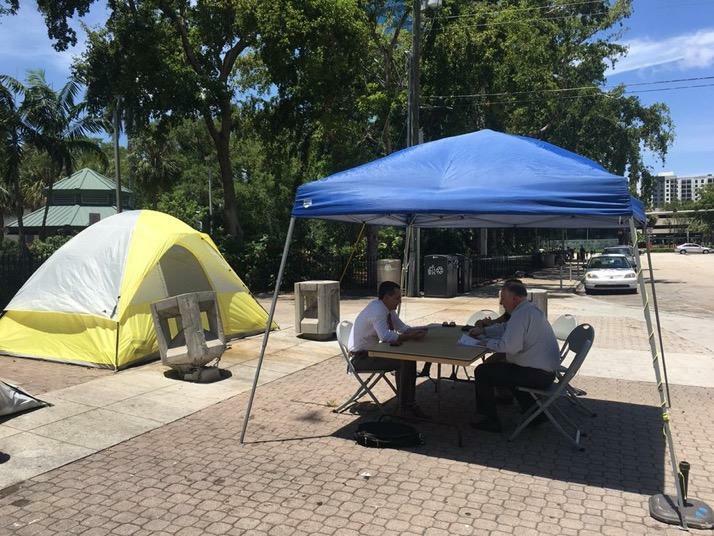 "While there continued to be homeless people on the streets of Miami, for whom there is not adequate housing or shelter available, their constitutional rights to live in public, to sleep in public, to exist in public, have to be protected," an ACLU attorney said. U.S. Federal Judge Federico A. Moreno, who presides over the trial, said the case offers no real solution to the root issues of homelessness. "This is a total mess. It doesn't really matter. It's gonna be a lawyer's victory ... while you all go to your gated communities where I suspect there are no homeless," he told lawyers Monday. City of Miami attorney Thomas E. Scott Jr. said police will not revert back to abusive behavior should they win the case. He said shelters and cleanups have put Miami ahead of many cities when it comes to handling homelessness. "Given the robust number of services and programs, it is highly unlikely that they will ever revert back. And they've come too far to do that," Scott said. But attorneys for the ACLU say there were 72 complaints of police violating the "Pottinger rules" six months before the City attempted to terminate the agreement.